Majin Buu from Dragon Ball Z has many forms. 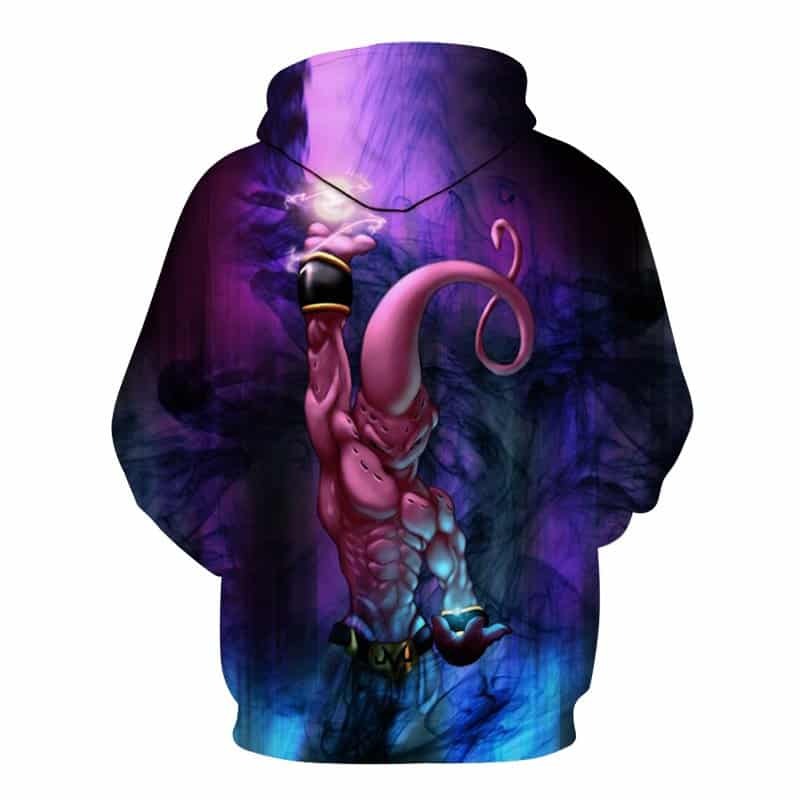 This Majin Buu Hoodie demonstrates the Super Buu form. Using purples, blues and blacks this hoodie really stands out. 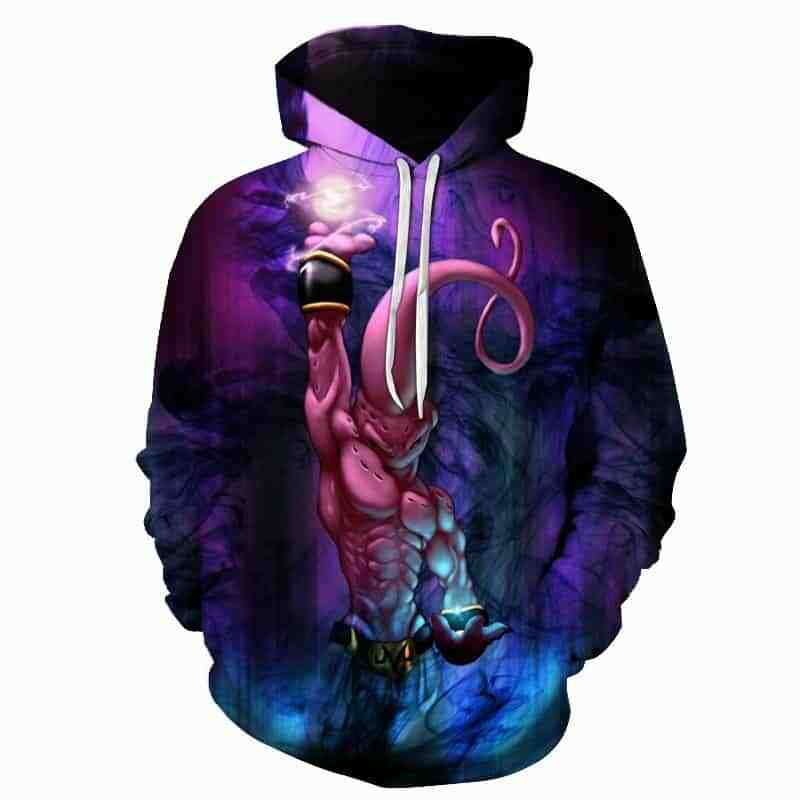 Truly a beautiful print and a hoodie perfect for any Majin Buu or Dragon Ball Z fan. The hoodie is comfortable to wear, looks fashionable and is wearable anywhere. It was designed for both male and female. Tag your photos with #majinbuu on Instagram.